Nine out of 10 public sector organisations paid men more than women in 2017, figures have revealed, as the deadline for public sector bodies to disclose their gender pay gap passed on 30 March. At the time of writing 1,643 public sector organisations had published their gender pay data for 2017, including schools, NHS trusts, local councils and Government departments. It came as a cross-party group of female MPs launched the #PayMeToo campaign, which aims to give women advice on how they can help their employer tackle the gender pay gap. 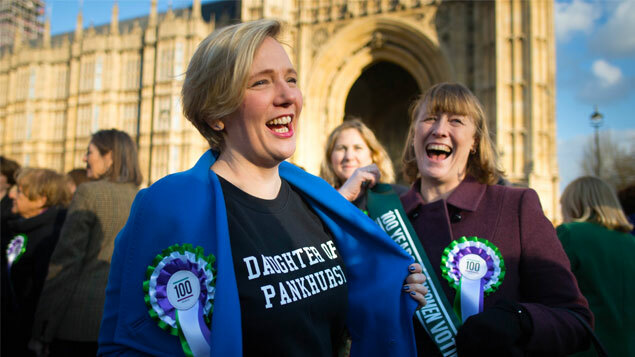 Labour MP Stella Creasy, who is leading the campaign, said: “Women are already telling us that they are being told not to ask difficult questions about this for fear of affecting their careers and we want to be clear that trying to silence employees isn’t the right response. According to the Guardian, around nine in 10 public sector employers had a gender pay gap, with men paid on average 14% more than their female colleagues. Half of the top 50 organisations with the largest gender pay gaps were school academies. Topping the list with the largest median gender pay gap was The Royal Hospital School, based in Ipswich, which paid men on average 66% more than women. It said that despite women making up 60% of its workforce and holding a significant proportion of senior positions, the majority of its female staff worked in support, cleaning or laundry roles and attracted a lower rate of hourly pay. “In many schools such activities are contracted out to external service providers and were that to be the case at RHS the mean pay gap would be 13% and the median pay gap would be 27%,” the school’s director of finance and operations Anthony McNiff said. The Office for Nuclear Regulation (ONR), the safety regulator for the civil nuclear industry, published a median pay gap of 55.3%. It claimed the majority of men were employed at higher grading levels in specialist roles, while most of its female employees were in support positions. “This gender split is largely structural, as for many years ONR has recruited its technical specialists in the higher grades from an education system and nuclear industry where men predominated in the science, technology, engineering and mathematics (STEM) subjects,” said Dave Caton, ONR’s HR director. The ONR planned to improve its ability to attract women into higher-paid specialist roles by promoting diversity in its recruitment campaigns and continuing to use anonymous selection in its recruitment process to remove unconscious bias. Meanwhile, Derbyshire Constabulary’s gender pay gap report revealed that it paid female staff 28.8% on average less than male employees. It said this was because 69.1% of its male staff were police officers – who attract the highest average hourly rate of pay – while 65.7% of female staff were in support functions. Of central Government departments, the Department for Transport (DfT) reported the largest median gender pay gap at 22.6%. Bernadette Kelly, the DfT’s permanent secretary, claimed this was because its workforce was reflective of the wider male-dominated transport industry. “There is a disproportionate representation of men due to the technical, engineering, construction and maritime skills required and lower proportions of female students in STEM subjects leading into those careers. We are still living with the vestiges of that culture, with women representing 20% of the transport industry as a whole,” explained Kelly. She said that it had a larger proportion of female staff in junior grades, which was mainly due to large numbers of women in administrative roles at the DVLA. As the DVLA is based in Swansea, Kelly said these staff would be on lower pay rates than those at its central offices in London, to reflect the difference in living costs. Private sector employers have until tomorrow, 4 April, to publish their gender pay gap figures for 2017. The Equality and Human Rights Commission has warned that employers could face unlimited fines if they fail to publish their gender pay information.